Children's play badge (I think - it's metal and pretty solid). 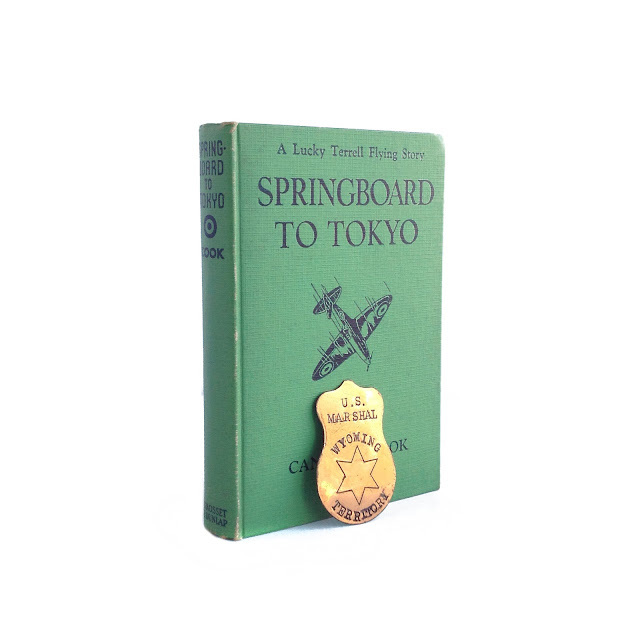 Found in "Springboard to Tokyo" by Canfield Cook. Published by Grosset and Dunlap, 1943.